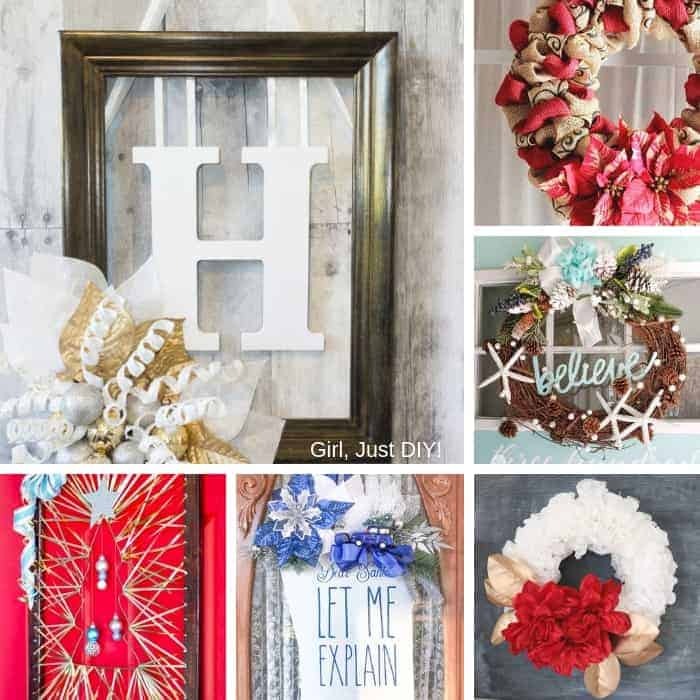 Sparkly Christmas Wreaths - 9 Projects to Inspire - Girl, Just DIY! 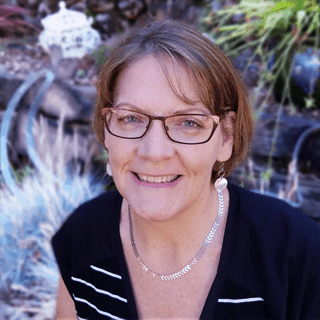 Hi again friends, the other day I told you about the Deck the Home blogger challenge I’m participating in for the next several weeks. 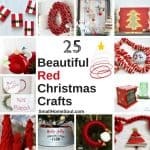 There were so many great projects (such creative talent in this group) showing you creative ways to make Christmas Door Decor. 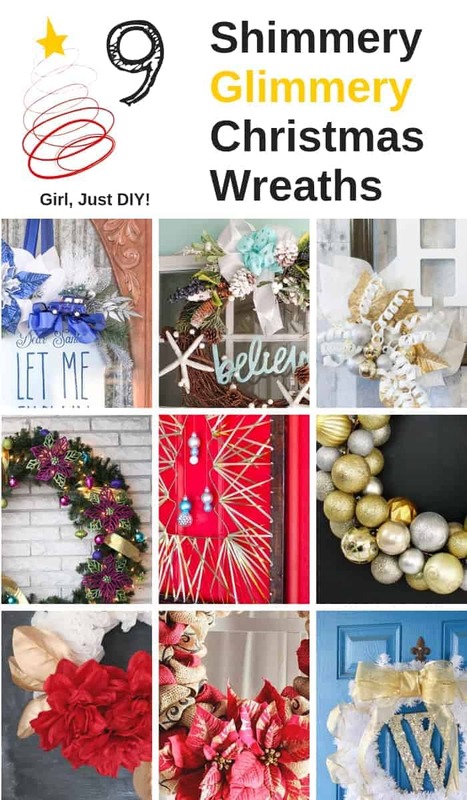 Since my project was all glittery and shiny I decided to take a few of the Sparkly Christmas Wreaths from our first week and share them directly on my blog for your viewing pleasure. 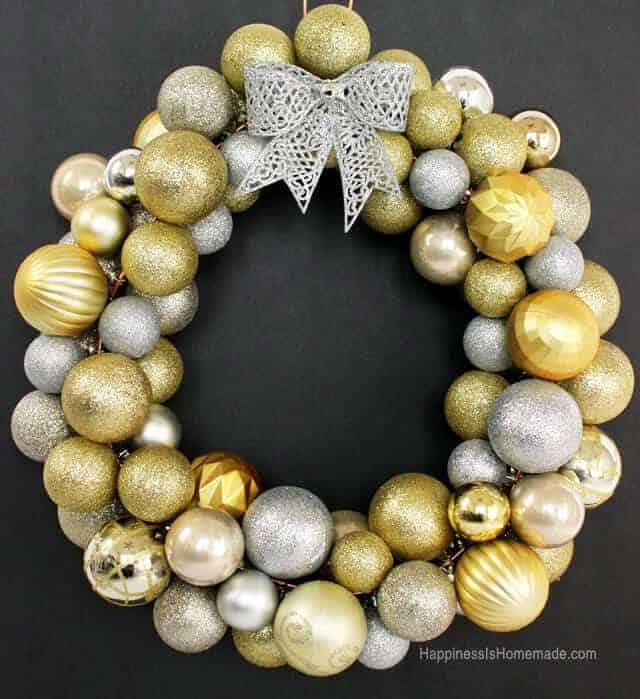 Ready to be inspired by all the sparkly Christmas wreath goodness? 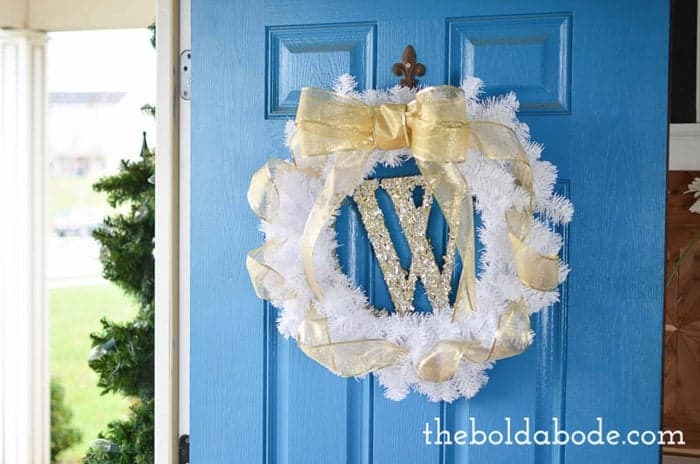 First up is this cute white wreath by Creative Ramblings. I love the shiny gold leaves and the beautiful red flowers. 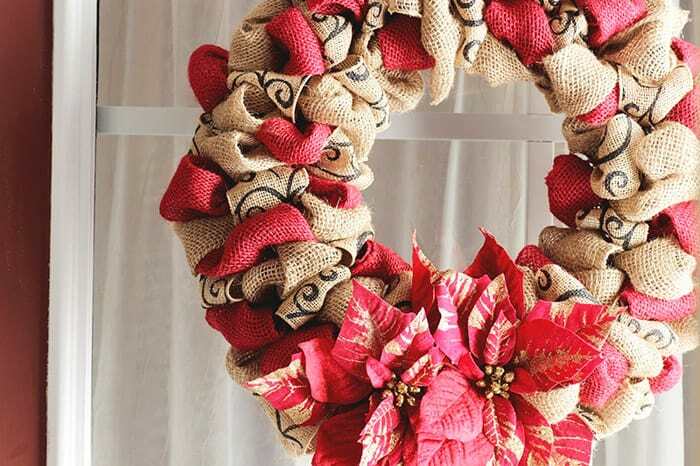 You won’t guess what the wreath is actually made from. One of these years I’m going to have a mostly purple tree. 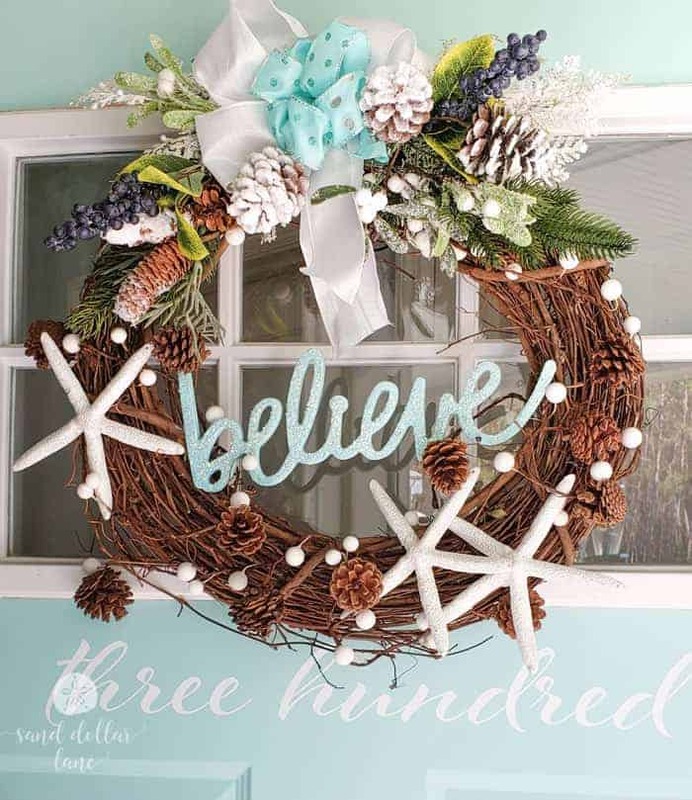 And when I do I want it to look this wreath that Doodlecraft designed. 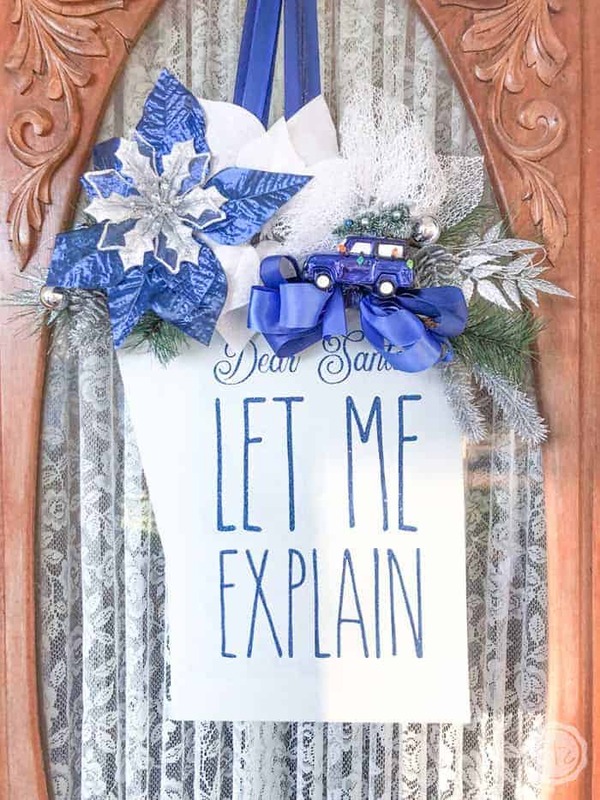 When I saw this gift tag door hanger by Happily Ever After I knew I needed to share it. First, it’s very creative, and second it’s got lots of glitter and shine. It’s totally a sparkly Christmas wreath (but not LOL). Happiness is Homemade reminds us that jewel tones never go out of style, and that you can mix them beautifully. 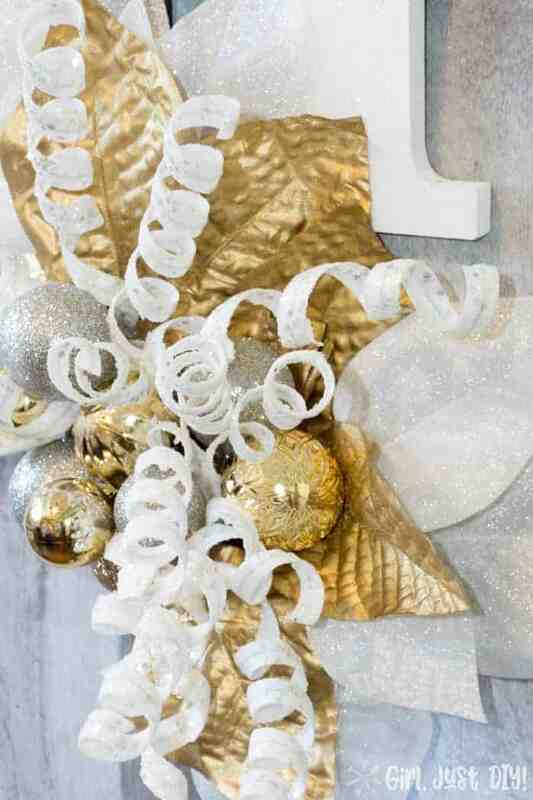 This is one very sparkly Christmas wreath. 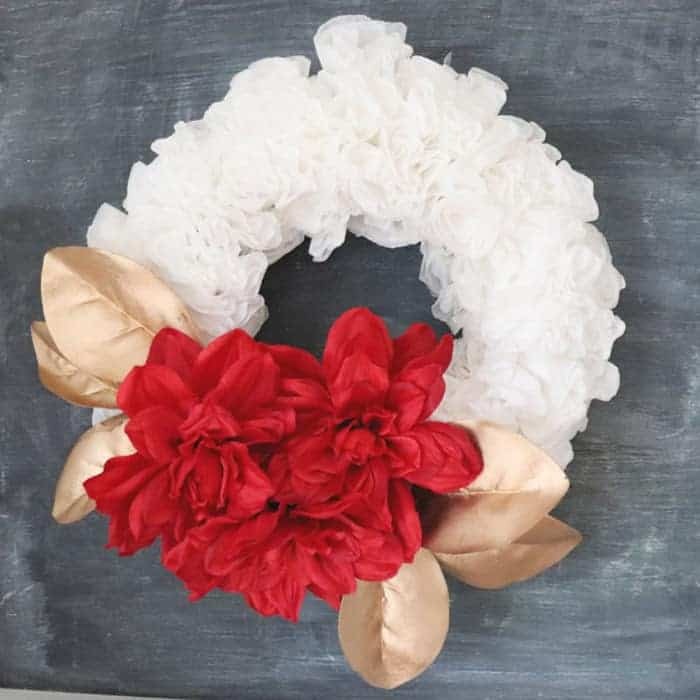 The shimmer and sparkle on this wreath by Kenya Rae may be only on the flowers, but it’s subtle and unexpected when it’s added to a more neutral burlap wreath. 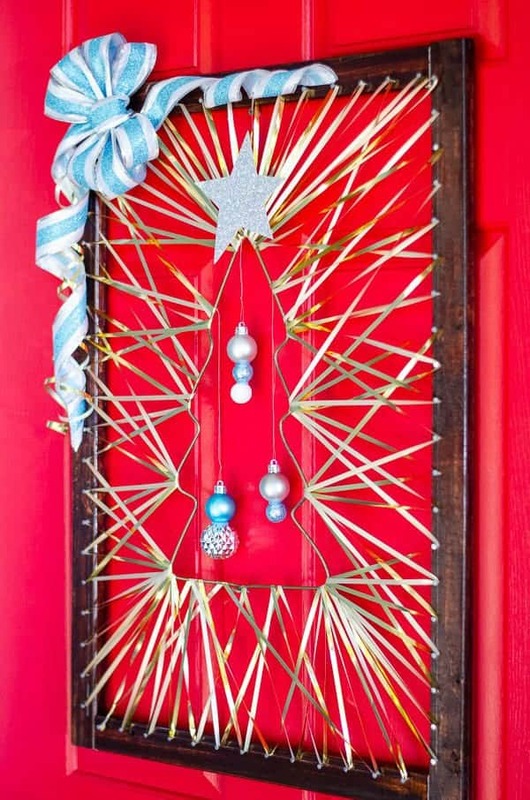 Seriously, this “wreath” is gorgeous and done so well in string art fashion. I think My Kitchen My Craft is genius and I think I’m inspired to try one of these myself. 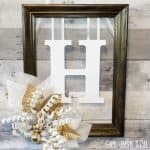 I love coastal and I’ve done a few projects of my own. But none are as fun and fresh as this beauty by Sand Dollar Lane. Mixing starfish with pine cones might sound crazy but it’s fun and it works. I’ll add a closeup from my own sparkly Christmas wreath in case you missed it. 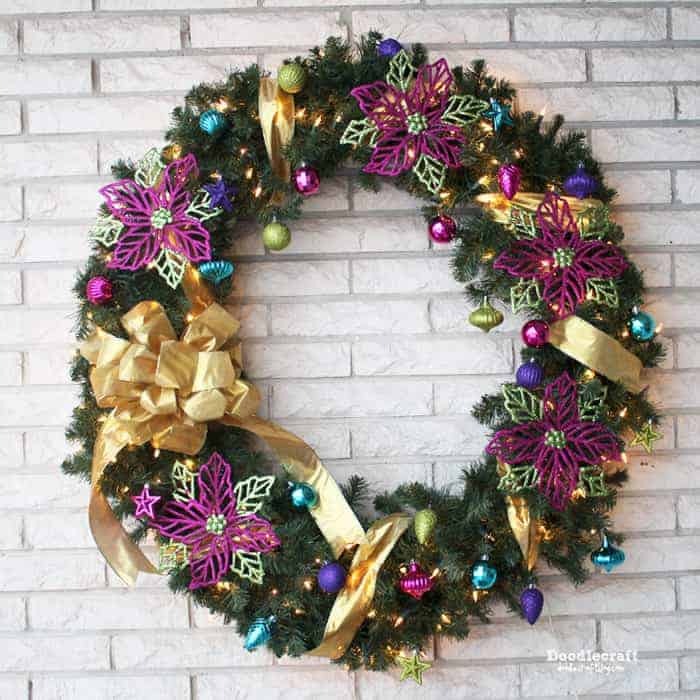 There it is, nine beautiful and sparkly Christmas wreaths to get your creative juices flowing. 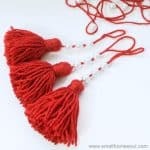 Now get your supplies to make your favorite and be sure to let me know which one you like best in the comments below. 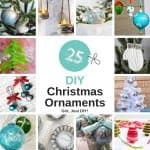 I love all the sparkle in this collection, such a fun way to decorate for Christmas. Thanks for including my wreath. I am always amazed at all the talent and creativity that people have. Thanks for sharing so many beautiful ideas!